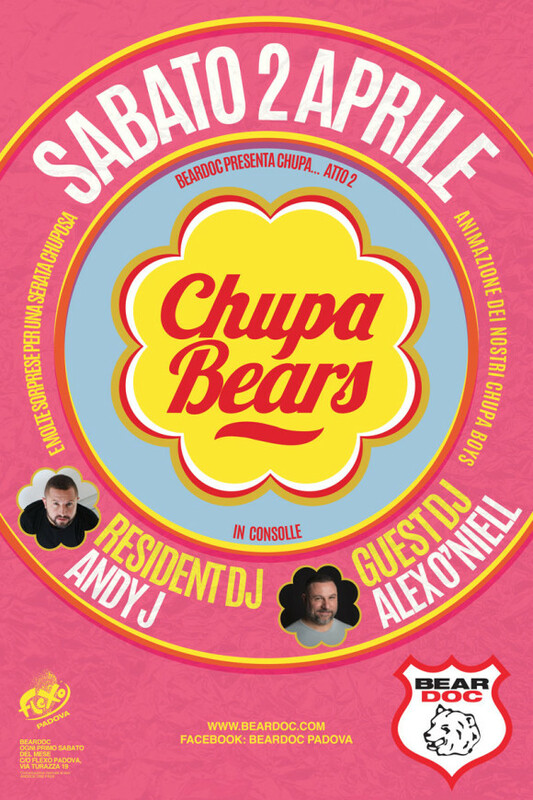 CHUPA DJ’S ANDY J& ALEX O’NEILL CHE INFIAMMERANNO CON LA LORO MUSICA IL DANCEFLOOR SINO ALLE PRIME LUCI DEL MATTINO. ANIMAZIONE DEI NOSTRI CHUPA BEARS DANCER E MOLTE ALTRE SORPRESE. LA NOTTE CULTO PER IL BEARWORLD AND ADMIRERS. UNA SPAZIALE CONSOLLE VI FARA’ BALLARE TUTTA LA NOTTE CON IL DJ SET DI ANDY J ED IL RITORNO DI SILVER DJ . OSPITEREMO GLI AMICI DI ” SPARTA’S HARNESS” DIRETTAMENTE DALLA CAPITALE CON LA LORO NUOVA COLLEZIONE INDOSSATA PER L’OCCASIONE DAI NOSTRI BEARDOC BOYS. 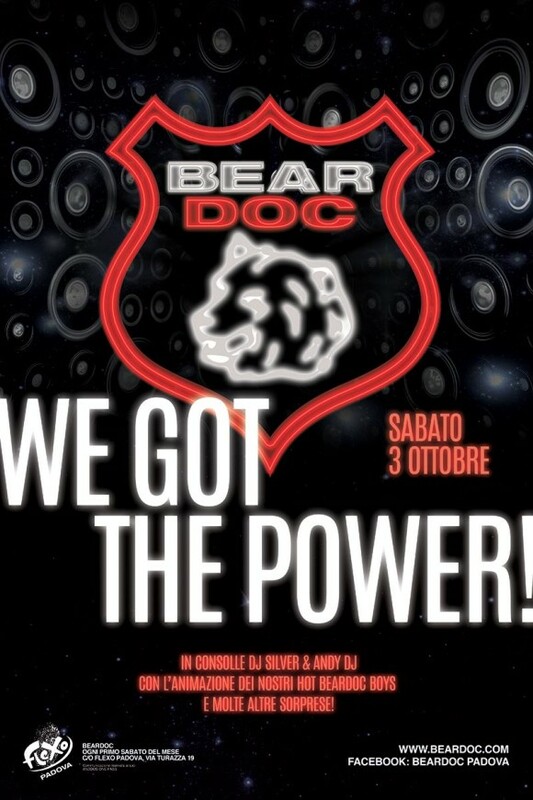 INIZIA ALLA GRANDE IL NUOVO ANNO CON BEARDOC THE ORIGINAL BEAR PARTY. ATTENZIONE SOLO PER IL MESE DI GENNAIO LA DATA E’ SABATO 9 GENNAIO. INSIEME CELEBREREMO IL RITORNO SUL NOSTOR PALCOSCENICO DE GAGABEAR. DOPO AVER CONQUISTATO LE PRIME PAGINE DEL FAMOSO BEARMAGAZINE BRASILIANO RITORNANO CON IL LORO NUOVO E DIVERTENTE FUN SHOW. FESTEGGEREMO ANCHE IL COMPLEANNO DEL NOSTRO STEFANO CHINELLO. DJ NELLA NOSTRA CONSOLLE ANDY J & STEFANO FERRARI. L’IMMANCABILE ANIMZAIONE DI NOSTRI BEARDOC BOYS CON UNA NUOVA SORPRESA E… MUCH MORE! BEARCRIME FINALE DI STAGIONE SABATO 4 GIUGNO 2016. L’ULIMA NOTTE DELLA STAGIONE AL FLEXO PRIMA DELLA RIPARTENZA FISSATA PER SABATO 10 SETTEMBRE 016. IN CONSOLLE PER QUESTA GRANDE NOTTE ANDY J & ALEX O’NEILL . BEARDOC BOYS : NICHOLAS- GENNARO -MARCO-MARCO2 CAPEGGIATI DA STEFANO C.
MA L’ESTATE DI BEARDOC NON SI FERMA QUI.. IN ARRVIO TANTE SORPRESE PER UNA ESTATE VERY HOT!!!!! 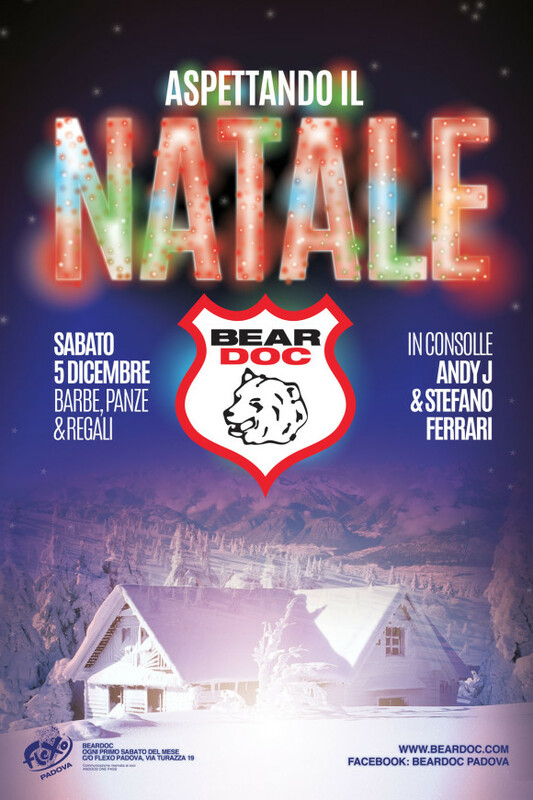 SABATO 5 DICEMBRE… ASPETTANDO IL NATALE LA GRANDE NOTTE BEARDOC CON I DUE BABBY DJ STEFANO FERRARI E ANDY J ED I BEARDOC BOYS IN UNA SPECIALE COREOGRAFIA NATALIZIA…. BEAR X MAS A TUTTI! 11 ANNI NELLA STORIA DELLA BEAR NIGHT LIFE ITALIANA. UNA NOTTE SPECIALE CHE VEDRA’ PROTAGONISTI ALCUNI DEI PERSONAGGI CHE HANNO COLLABORATO AL SUCCESSO DI BEARDOC. 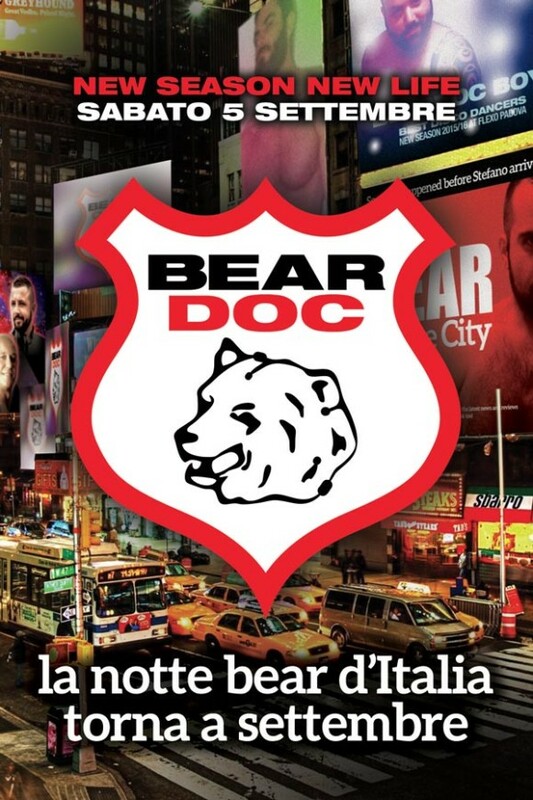 ANIMAZIONE DEI BEARDOC BOYS & MUCH MORE….. IN CONSOLLE ANDY J & STEFANO FERRARI.